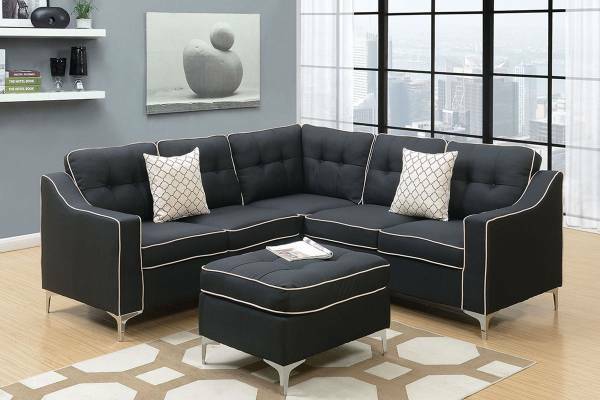 A fitting furniture for anyone who loves simplicity, this classic American sofa brings a touch of contemporary design for your home. 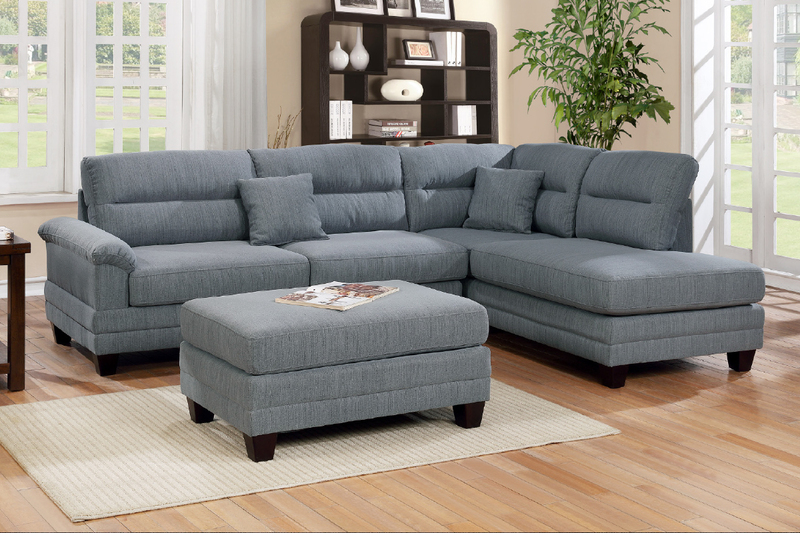 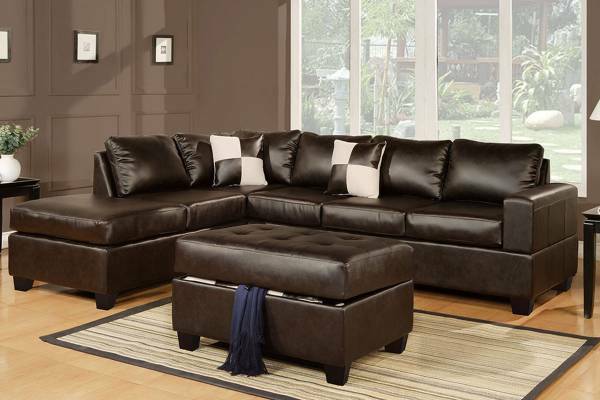 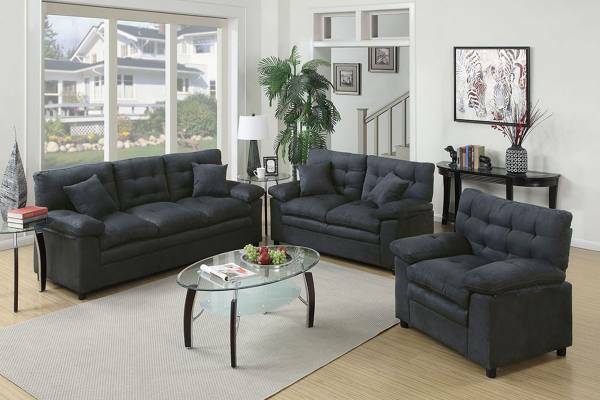 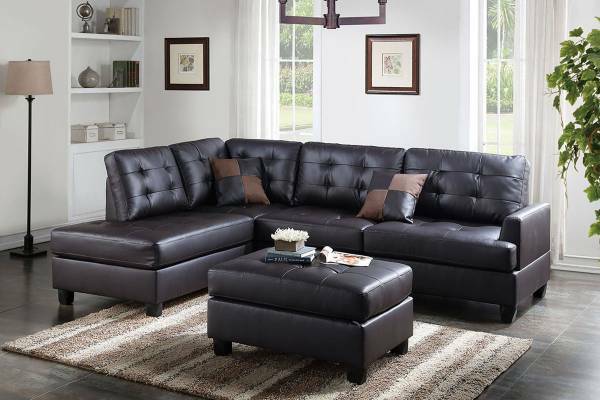 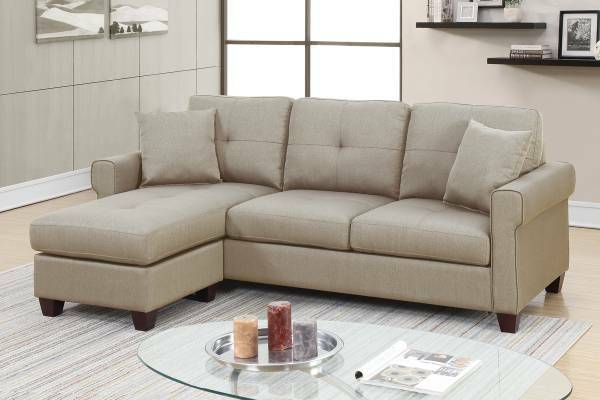 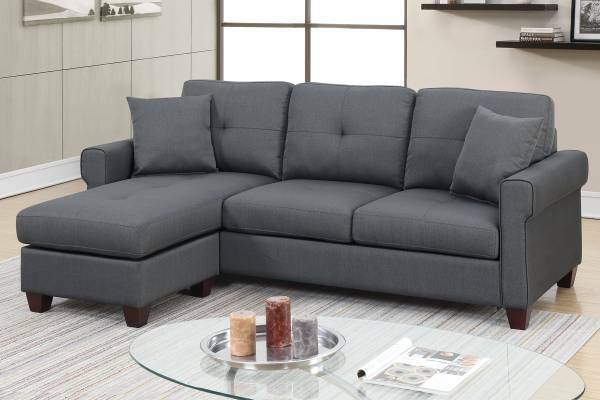 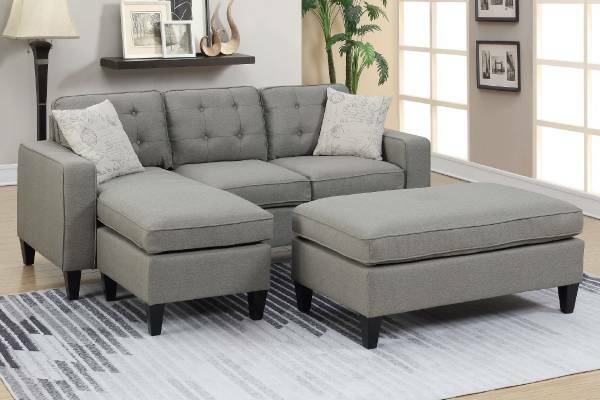 This three pieces sectional sofa offers spacious seatings for you to have quality time together with your family and friends, and the matching color cocktail ottoman and two pillows establish a more complete look. 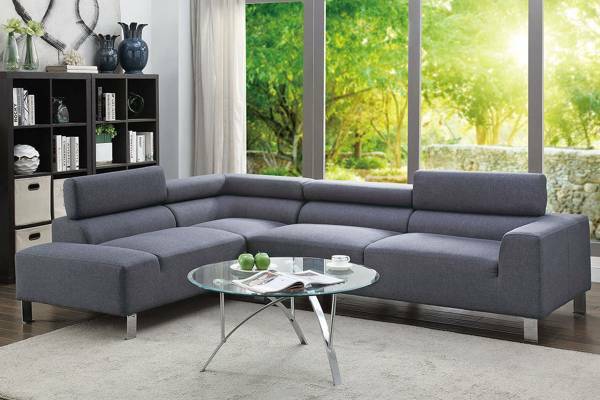 With a reversible chaise functionality, this simple yet unique sofa provides versatility for you to arrange it to the way you prefer.